Fig. 1. 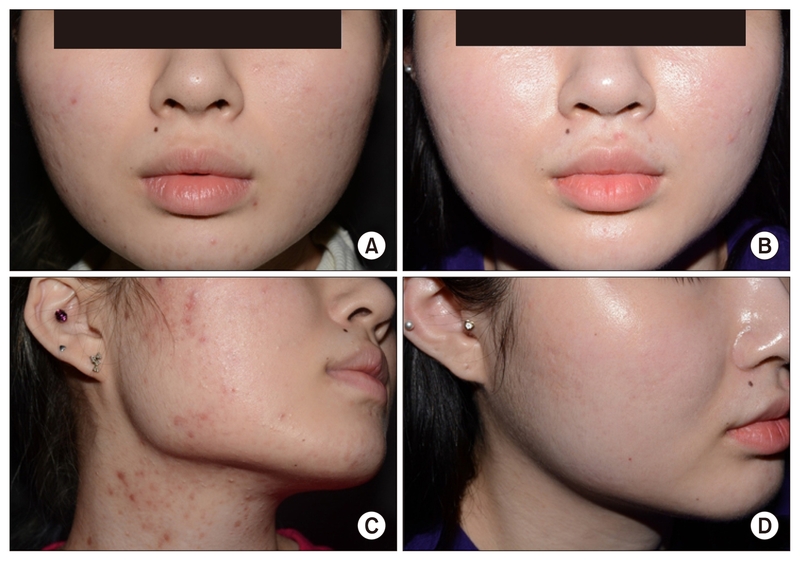 Photographs of a 19-year-old, Koream female with acne vulgaris (A, C) at baseline, (B, D) after 2 sessions of long-pulsed 1,064-nm neodymium: yttrium-aluminum-garnet laser treatment (6 months after baseline).